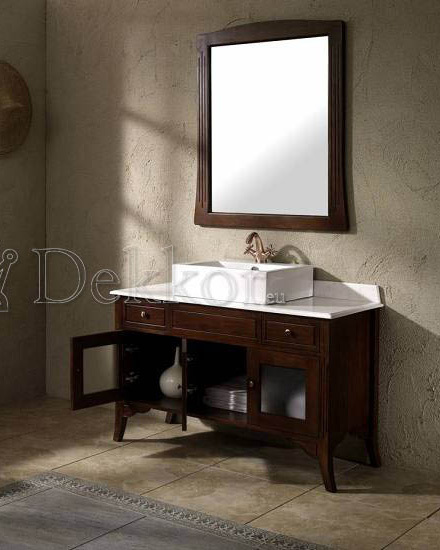 Base unit made from high quality solid wood with waterproof varnish. 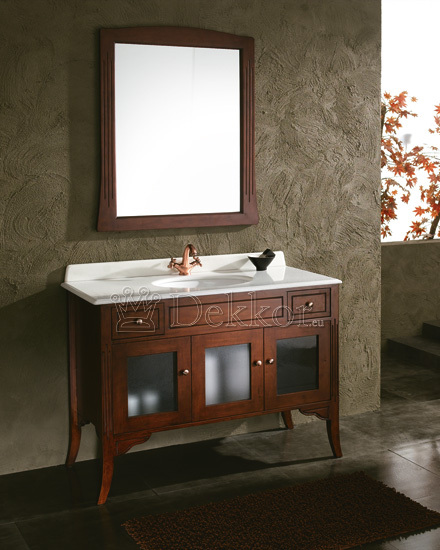 The unit is fully made of solid wood in dark cherry red with a matt varnish to provide durability in wet conditions. The unit uses frame type construction. The unit comprises an Acrylic light grey worktop, with permanently fixed ceramic washbasin underneath. 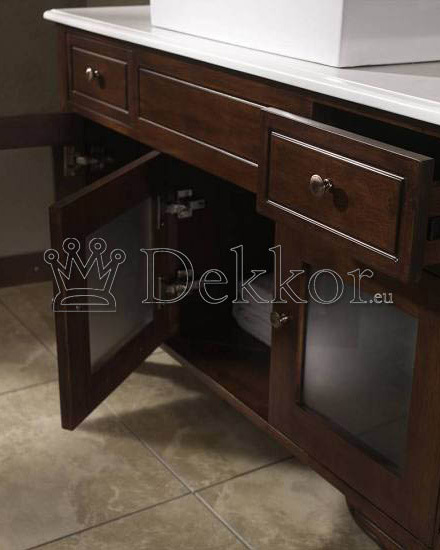 There is also option to place an order with the washbasin on the worktop. The ceramic washbasin includes pop-up no overflow basin plughole with cooper finishing. Connection of tap and washbasin plughole to external installations can be done by making penetrations in the back wall of vanity. The back wall is also varnished. Concealed door hinges are not equipped with Soft-Closing system. Drawers are made of solid wood with a matt varnish inside and outside to withstand high humidity levels, equipped with metal runners. Handles are made of alloy in cooper effect. 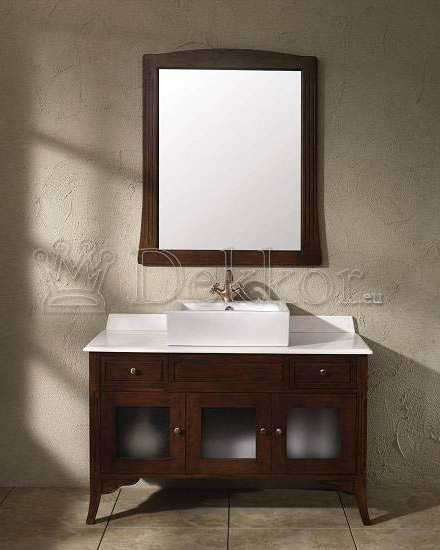 Wood framed mirror specifically manufactured for high condensation bathrooms with all fixings and in the vanity colour.